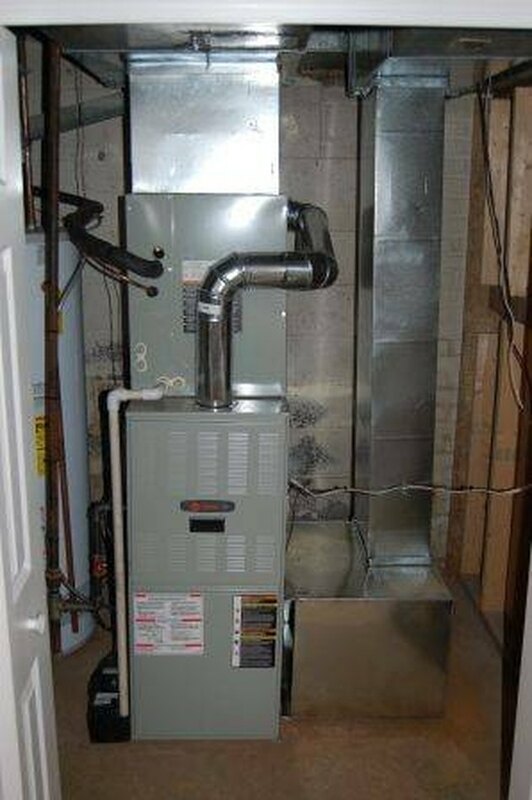 If the gas furnace is functioning but won't provide enough heat no matter what you do, there are a few possible causes. Ask yourself when the last time that you replaced your air filter was. If it's been more than 6 months you should swap it out for a new one. If the filter has become clogged and dirty it prevents most of the warm air from your furnace from passing out into your home. If the filter is clean, then it's likely that the gas burners in the furnace itself are either dirty or need to be adjusted. Turn off the gas valve on your furnace and disconnect the burners. Clean them of any carbon deposits you find and then replace them, making sure they are securely sealed to the gas feed lines. Turn your gas back on and increase the feed valves to the burners incrementally over a few days until you're happy with the amount of heat they provide. The pilot light, which ignites your gas burners, can sometimes go out. It's possible a strong wind can blow one out, but most home furnaces are located in the basement, so it's not likely. If it's been more than 5 years since the pilot light housing was last cleaned, then it's probably due for a cleaning. The pilot light sits in a housing called an orifice; the flame it produces extends into a heat-proof cylinder called a gas tube. Most gas burners are located on the other end of the gas tubes. In any case, if the orifice or the gas tube becomes clogged or even partially blocked by dirt, ash or carbon deposits, then the pilot light will not receive sufficient oxygen to stay lit. For that reason, both the orifice and the gas tube should be cleaned out regularly. If the pilot light still will not stay lit, then the thermocouple is to blame. This is an electronic device that measures the heat of the pilot light. When the pilot light reaches a sufficient temperature, the thermocouple sends an electrical impulse to start feeding gas to the gas burners for ignition. If the thermocouple is broken then the gas burners will never receive that impulse and the pilot light will gutter and die over time. Because of the intricacies of the system, a thermocouple should only be replaced by a certified technician. If the furnace blower is constantly running, first check to make sure that the thermostat setting hasn't been put on the "fan continuous" selection. If this isn't the problem, then look for the service panel on the furnace. There should be a red button labeled "fan-limit control". Next to the button should be a dial with a series of numbers around its circumference. Set the dial to the maximum number of hours you want the fan to run at any time and then press the red button. This will reset the system to its new setting. If it fails to turn off after the time you indicated, the fan-limit control panel on the inside of the furnace is faulty and should be replaced to a technician.